Public Displays and the website of Vietnamese Airlines have been breached by Chinese hackers who caused to spread anti-Vietnamese slogans through these channels. China is currently the lead figure in a well publicized dispute with several countries over islands in the South China Sea which also became a hot topic with patriotic Chinese citizens. Many private citizens have taken to the streets and also express their sentiment through other means such as online trolling or even IT hacking while the government (at least publicly) runs on a more moderate campaign including booking large screens on New York’s Times Square to run infomercials supporting their claims. The Guardian (access here) reported about the incidents in Vietnam. 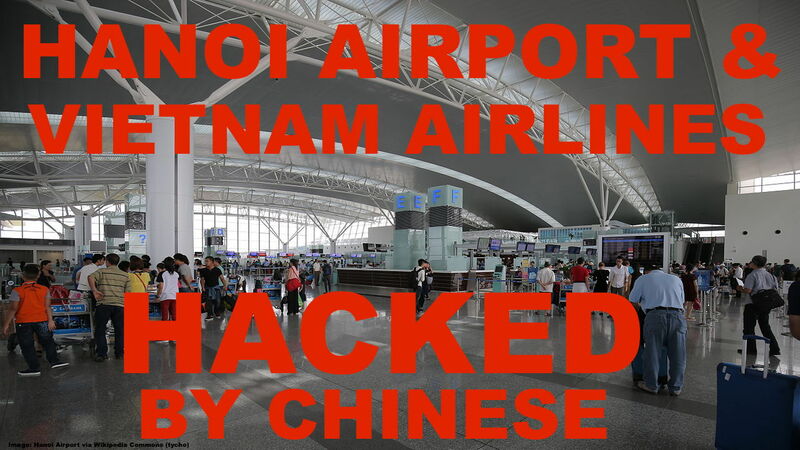 Hackers have attacked the website of a national airline and flight information screens at Vietnam’s two biggest airports, posting notices that state media said criticised the Philippines and Vietnam and their claims in the South China Sea. Operators of airports in Hanoi and Ho Chi Minh City briefly had to halt electronic check-ins when systems were attacked on Friday afternoon, the country’s civil aviation authority said. The website of Vietnam Airlines was also compromised, directing browsers to what the flag carrier described as “bad websites overseas”. Vietnam’s vice transport minister, Nguyen Nhat, said the content displayed by the hackers offended his country and the Philippines, Thanh Niên news reported, without elaborating. Inconveniencing the traveling public isn’t really the best way to win the argument for your claims but this move clearly shows that the cyber warfare now extends into all parts of life. The circumstances around the territorial claims of China and the behavior of some citizens are getting out of control. Apart from these IT hacking incidents there are regular demonstrations and also individuals ‘boycotting’ KFC stores in China, throwing chicken nuggets at the storefront to protest the U.S. support of Vietnam and the Philippines. Yes that sounds… rational! ?